Max Verstappen at the Japanese Grand Prix. Red Bull’s motorsport program will let MotoGP riders test Formula One cars for publicity and all of that junk, but you better believe the privilege isn’t the same the other way around. 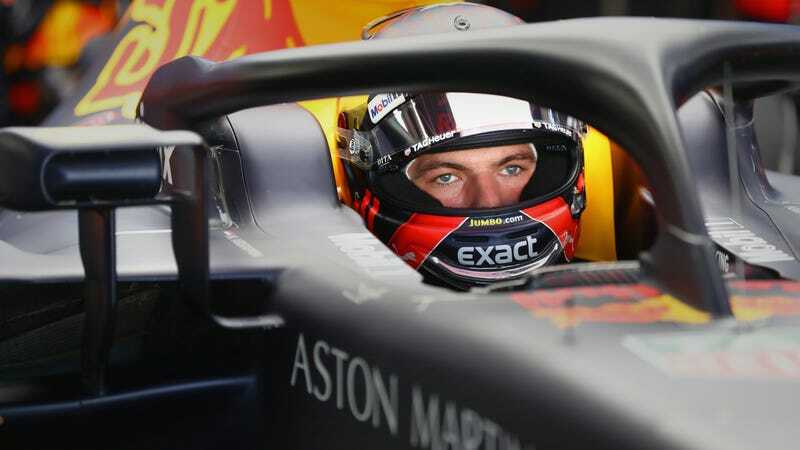 When Red Bull F1 driver Max Verstappen asked to get on a racing bike for fun, the team shut that idea down because it’s too dangerous. There’s no halo on a bike, that’s for sure. Too bad he won’t be feeling that anytime soon. Even though Red Bull let two of the MotoGP riders it supports, Marc Márquez and Dani Pedrosa, drive some F1 cars Red Bull Ring in Austria, Verstappen won’t get to hop on much more than his Harley for the time being—unless he decides to disobey team orders, which, as we know, doesn’t happen often in F1. A year on, Verstappen has revealed that he’d made the request to Red Bull – which serves as the KTM MotoGP team’s title sponsor and backs a number of other teams and riders in the category – but was turned down. “I would love to be able to race on two wheels,” he reiterated during an event organised by his personal sponsor Exact. “I’m not allowed to. “I bought myself a Harley[-Davidson bike] and I asked the team if I could try a MotoGP bike, because Red Bull are a sponsor there as well, with KTM and Honda. And we have a track, the Red Bull Ring. This whole tactic of mitigating risk for athletes is common and understandable, like how retired baseball player and IMSA race-team owner C.J. Wilson had to be careful his entire career not to get hurt doing car stuff on the side. But it’s still funny how the crossover stuff works one way around and not the other in this situation with Red Bull. Anyway, next time someone asks you why you’re not a professional race-car driver, you know what to tell them: The teams won’t risk letting you ride a racing bike or doing anything else that could seriously injure you, and you, being the cunning daredevil you are, just couldn’t risk giving someone that much control over your dangerous inclinations. Plus, you could’ve been a professional anything if you would’ve just practiced more as a kid. You just didn’t realize that until it was too late.